Last week, Bruhat Bengaluru Mahanagara Palike (BBMP) with support of NGOs working in the field of environmental conservation such as Go Native, Namma Nimma Cycle Foundation, United Way Bengaluru, and Let’s Be The Change hosted a Plog Run to mark Gandhi Jayanti. People who participated in the event jogged while collecting plastic on the way. A report in IB Times says 7000 people participated from 50 locations across the city. 33.4 tonnes of plastic waste was collected, and 10 lakh plastic bottles were recovered. This was a history, surpassing the previous Guinness World Record made by the Palike for gathering 28.5 tonnes of plastic waste in the past. The BBMP said that the official authentication of the numbers is still underway. 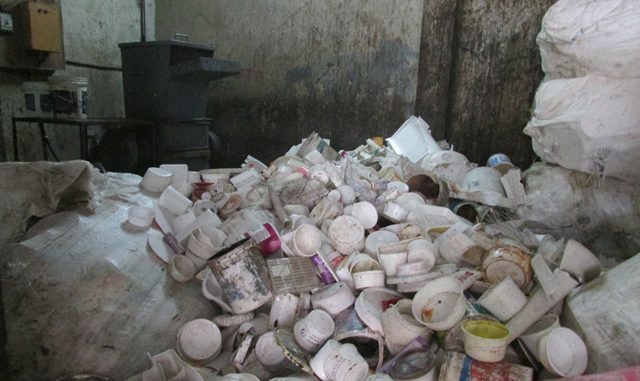 A few organisations like Swaccha, Prakriti and Parisara are segregating dry-waste to be recycled and reused to lay better roads with the help of plastic remains, create packaging material, and provide RDF to cement kilns. In another effort to curb the plastic-menace, the Palike is going to pilot an app in a few wards soon to guide officials enforcing the plastic ban, with a drop down menu showing the fees to be levied. It simultaneously sends a challan to the offender as well as an automatic entry to the BBMP database. Whitefield Rising has been complaining about the cracks and vibrations felt on Varthur bridge to BBMP for three years. The Palike finally promised to complete the work within 15 days starting from June 11. As some work is still left unfinished, specifically the replacement of the bearings holding the bridge to the ground, the residents continue to feel vibrations on their commute across the bridge. A senior engineer told The Hindu of the risky and tedious job of lifting the bridge up to place newly manufactured bearings that has to be undertaken after traffic diversions are sanctioned. The BBMP claims that a portion of the work is over but this part remains to be completed in the next two months. A new bridge close to Varthur bridge is also planned, and will be constructed by January 2019, claim the officials. Before the repair work began, trucks weighing more than 30 tonnes were barred from going through Varthur bridge once the BBMP consulted technical experts. This is costing construction companies operating from Whitefield dearly. Delivery personnel and middlemen transporting construction material in trucks are quoting higher fees to endure the long alternate routes. The state government and Directorate of Urban Land Transport (DULT) are aiming to establish last mile connectivity by providing a network of Public Bicycle Sharing (PBS) to metro commuters. As part of the initiative, Namma Trin-Trin, 2000 cycles in total will be introduced at all the 40 metro stations on October 15, to enable people to travel back and forth from stations. A report in The Deccan Herald says the an app can be downloaded to book the cycle to the nearest metro station. Parking space is designated with geo-tagging visible on the app. Peddl and Yulu are some of the companies on board to distribute cycles across the city divided into eight clusters of 10 km each. The first geographic cluster is identified around MG Road, Museum Road, Indiranagar, Ulsoor, and Old Airport Road, from where cycles can now be availed. The second cluster passes through BTM Layout, Koramangala and HSR layout. DULT has written to the CM’s office inviting him to the official inauguration at the end of the month. The fares charged for the system already working in Mysuru will be applied here as well, said Muruali Krishna, Special Officer, DULT. The tariff says that one year long membership can be availed at Rs 600 for registered users, and Rs 20 for 10 days of uninterrupted usage. Whereas for non-registered riders, Rs 5 is charged every half an hour after 30 mins of free time with the bike. Thousands of dead snails were left piled on the banks of Madiwala lake on October 4, and even dead fish could be spotted floating in the water. Walkers cited environmental degradation as the chief reason behind the unfortunate sight. Harsha Vardhan, Deputy Conservator of Forests, said this was a result of the heavy rainfall that caused untreated sewage water from rajukalves to flow into the lake. After Karnataka Lake Conservation and Development Authority (KLCDA) was dissolved, the forest officials claim the work was not transferred completely to them while they were working in coordination to maintain the lake. 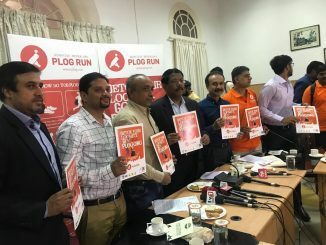 Detox Bengaluru with Plog Run on October 2, 2018, register now! Pick the plastics while you run. Get set to clean your locality on 2nd October, 2018, with Plog Run!